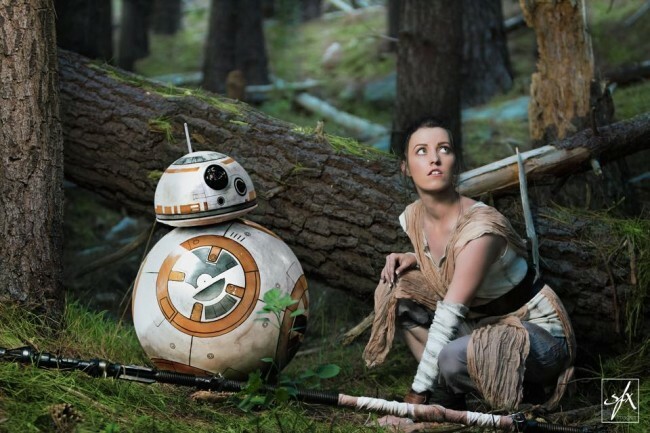 While most of us were picking that BB-8 was going to be the break out character from The Force Awakens, it was actually Rey who stole the whole movie. 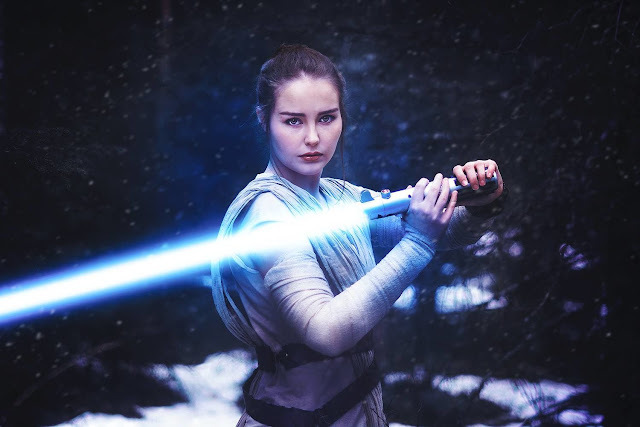 Played with such believable enthusiasm by Daisy Ridley, the character has truly struck Star Wars cosplayers with a strong resonance more so than the popular Finn. 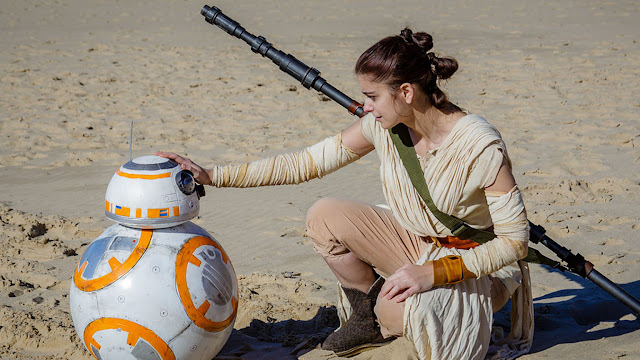 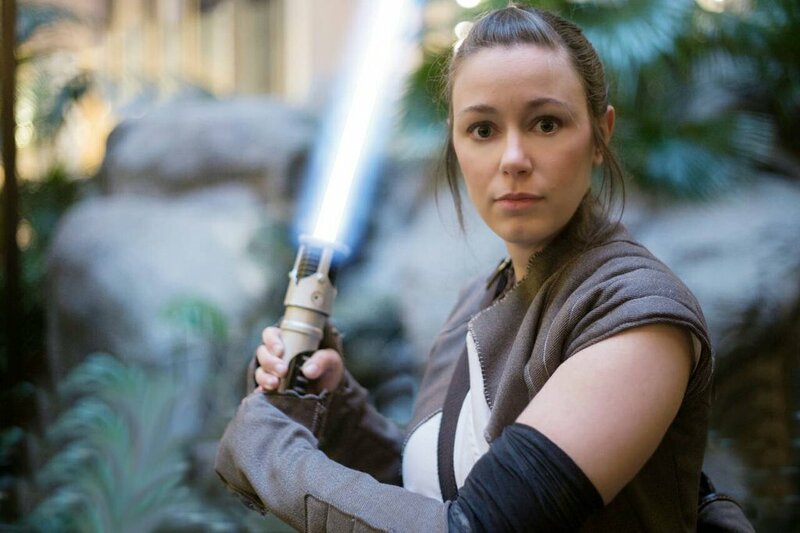 While it's possible to do BB8 cosplay, costumer players have come up with some awesome cosplay representations of their favourite character from The Force Awakens. 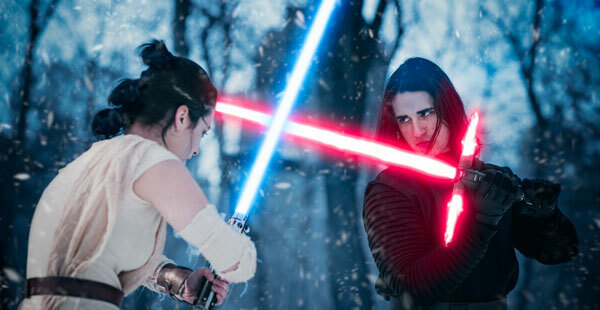 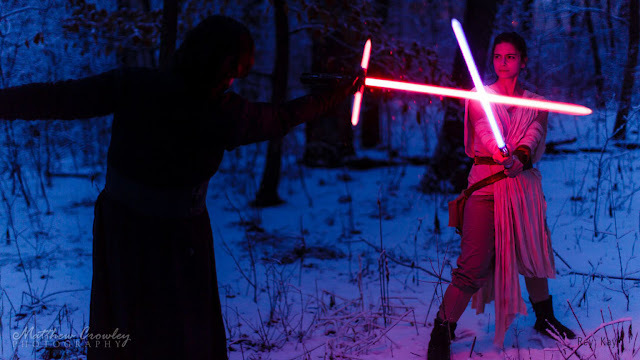 The last photo is arguably the best, a pretty sweet duel with sabers between Kylo Ren and Rey. Note the great three knot version of Rey's hair!